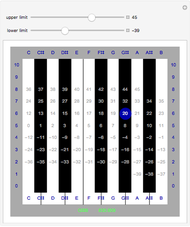 This matrix keyboard plays the 128 semitones supported by MIDI and shows their frequencies. Click a number to hear the tone. 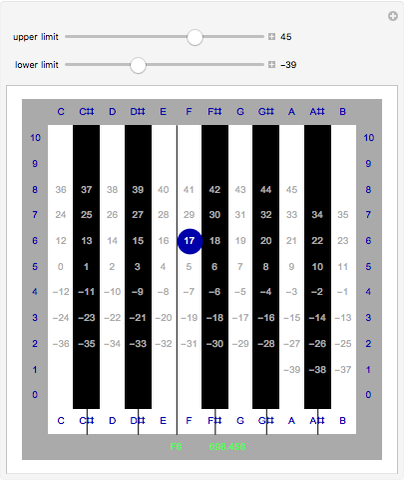 Rows correspond to octaves and black columns contain sharp semitones. Modify the default upper and lower limits to see key labels for semitones outside the 27.5 Hertz to 3951 Hertz range of a grand piano. Michael Schreiber "MIDI Keyboard Limits"